Released in the Cheers! collection. 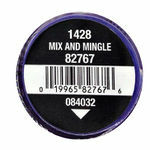 From China Glaze: "Vivid deep purple crème." This page was last edited on 12 January 2018, at 17:55.